Written by sylvia borgo on Friday, November 6th, 2015 at 8:30am. Owl and Bear contributor Sylvia Borgo spoke with British folk punker Frank Turner before his show at the House of Blues. In the interview, Turner explained his views on tattoo art, well-mannered Americans, and how his live show in support of his new album Positive Songs for Negative People is like a UFC fight. Hey Silvia, Great interview with Frank Turner. So, you’ve gotta update us on where he is in your 100+ bands this year. Did he take over the #1 spot. He is an awesome performer and very genuine. Eric, thanks so much for your comment. And thanks for listening to the interview. 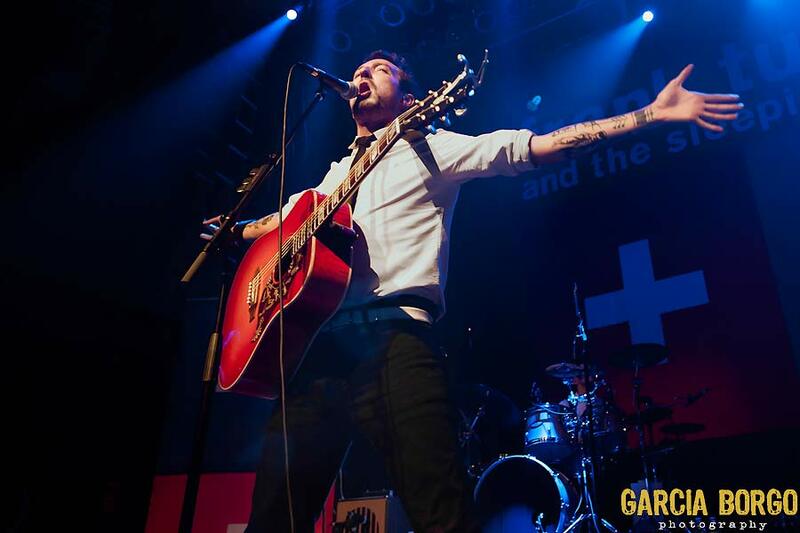 You are right, Frank Turner is about as smart, charming, and down to Earth as they come – it was a pleasure to speak to him before his show. Well, he put on a fantastic performance that night, but did not make it to the very top of my Top 15 of 2015 concerts. He came in at #5 for the year (he was beat out by Dan Mangan +Blacksmith #4, The Twilight Sad #3, Father John Misty #2, and Glen Hansard #1). Thanks!